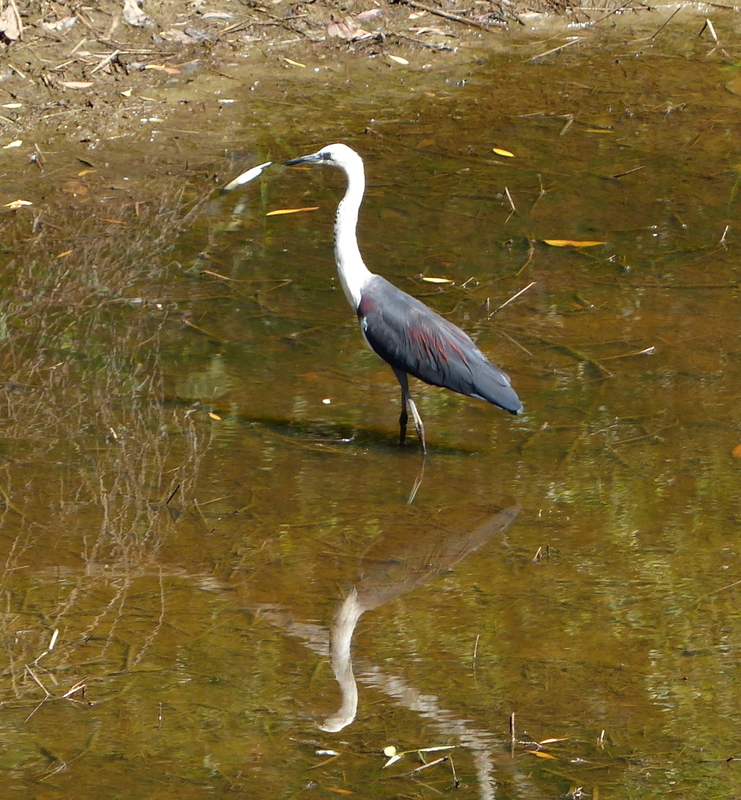 Daintree Valley Haven: Another 'dam' visitor! As we await the first storms of the upcoming wet season the poor dam is slowly going down. But this means visits from a variety of water-birds chasing small aquatic creatures. I just snapped this White-necked Heron slowly wading through the shallows. It's in breeding plumage as you can tell by the plum-coloured feathers. Other birds we've seen have been lots of Pygmy Geese, White-faced Herons, Pied Cormorants, Royal Spoonbills and a variety of shapes and sizes of Egrets.